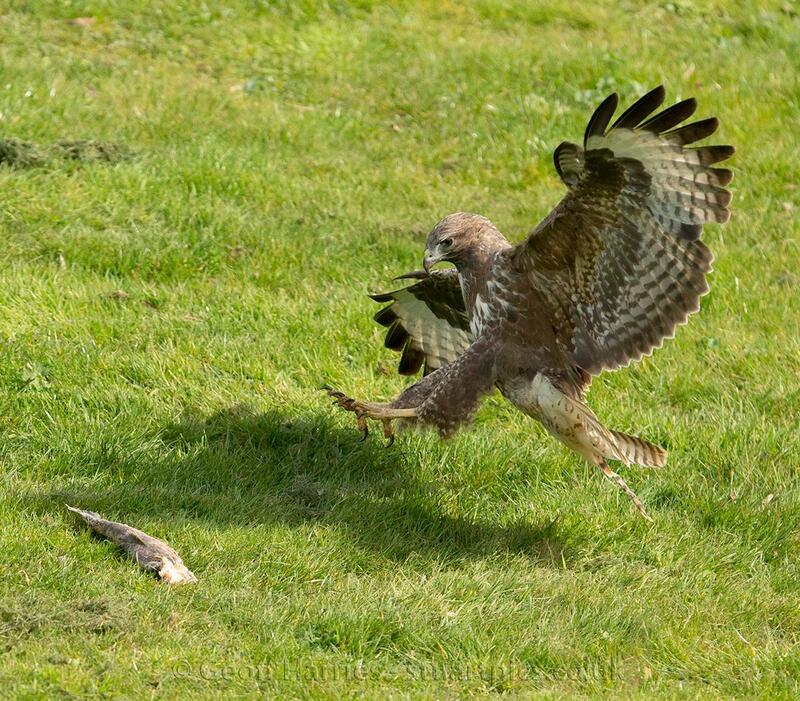 A surprise visitor while waiting for an osprey to turn up. 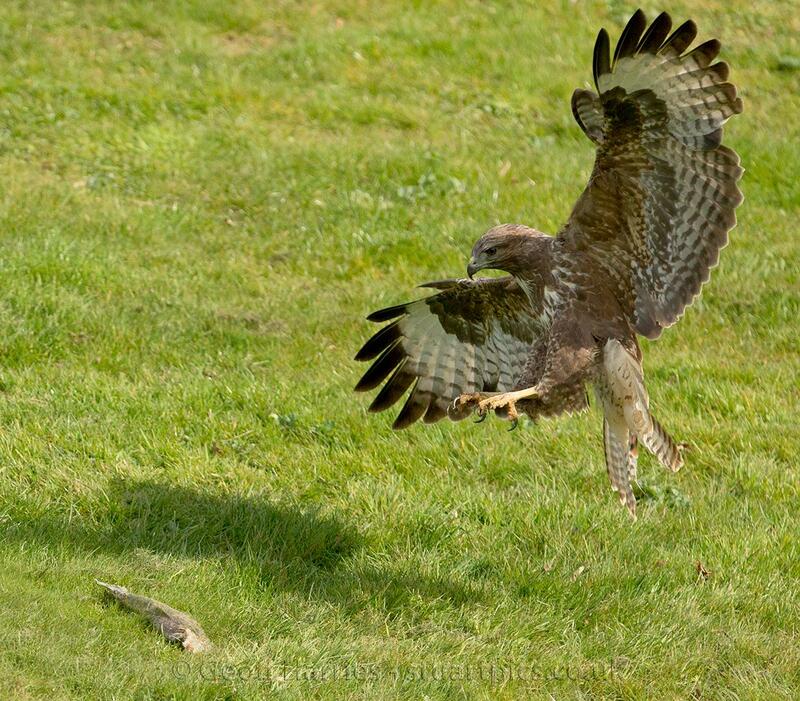 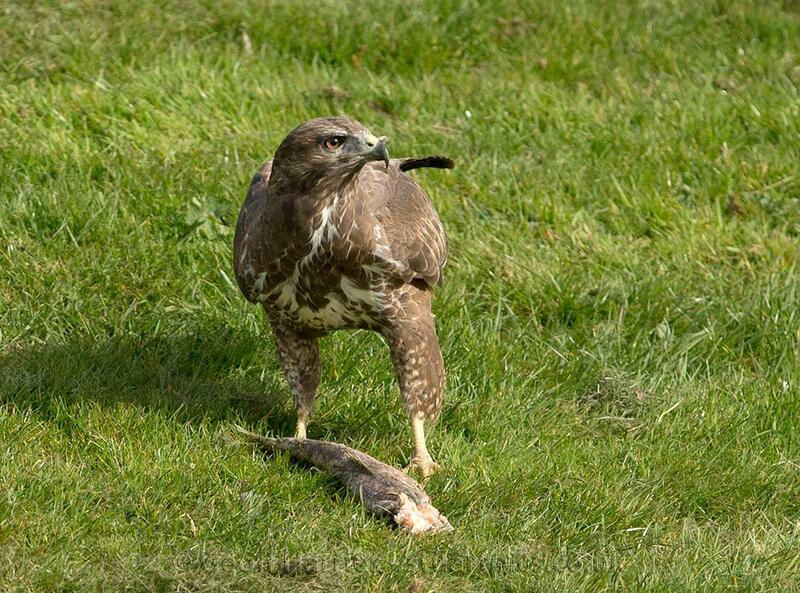 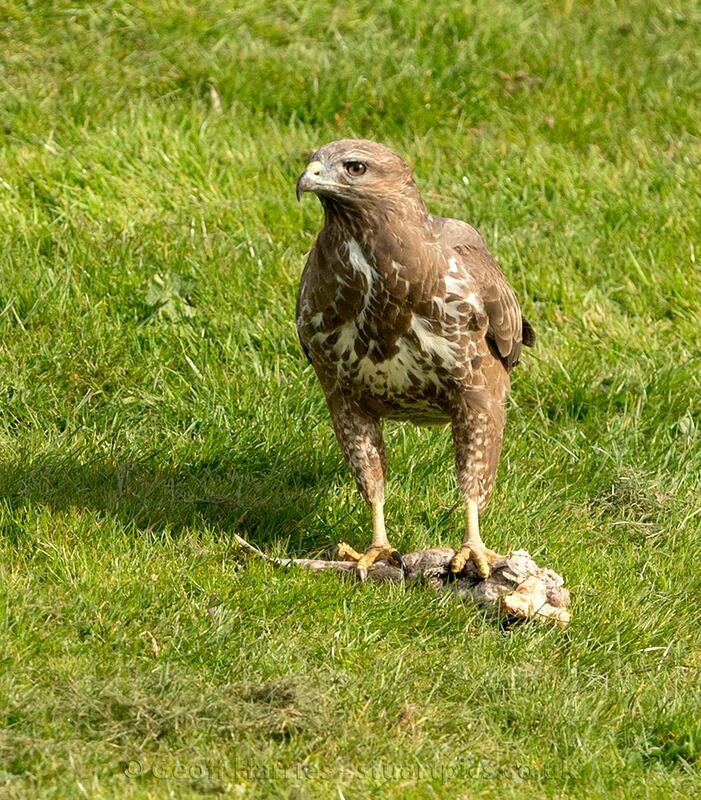 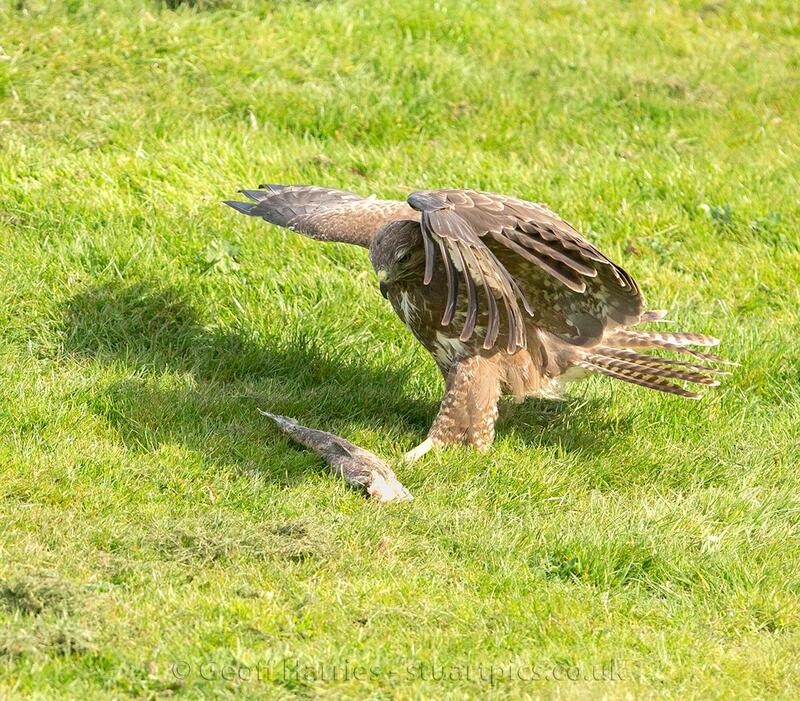 The buzzard sat in a tree and dived down to the dead fish on the bank. 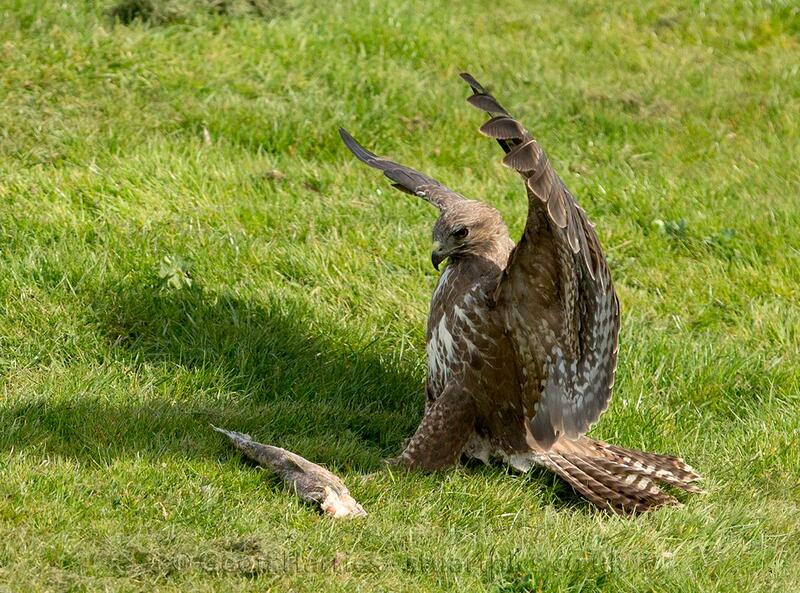 It is not often you see the wings spread like this showing all the beautiful markings on the bird.